Q: Why is Kiwi Manuka Honey better than other brands? Our UMF® Manuka honey is sustainably harvested from New Zealand’s remote Manuka forests. Our Ethical Honey Harvest program “Manuka Originz™” ensures economic returns from our product sales are shared directly with the Manuka forest owners, thereby benefiting the communities who occupy these remote forestlands. Manuka Originz™ guarantees genuine Manuka Honey sourced only from New Zealand with each batch fully traceable back to its original source. Our products bring together a unique blend of cultural heritage and modern technology to deliver a range of natural, Manuka Honey-based products for health and wellbeing. 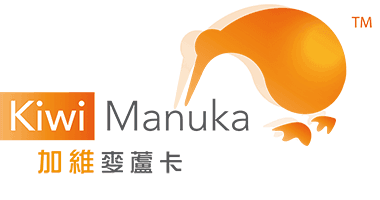 Kiwi Manuka products draw on the knowledge of New Zealand’s Maori people, who have used Manuka in their traditional medicine for centuries, together with the development of modern research and clinical study. In collaboration with specialist beekeepers, our Manuka honey is sustainably sourced from vast natural plantations in some of the remotest regions of New Zealand. Q: What does UMF mean? For thousands of years honey has been known for its special properties. Certain honeys from specific plants have a greater range of attributes than others, and the honey that comes from some varieties of the New Zealand Manuka bush (Leptospermum scoparium) is one of these. There are a number of assays and techniques including newly emerging work on determining what Manuka is that will be available to the consumer to verify the origin and provenance of this distinctive product. The UMF® rating is a measure of the attributes and values that make up Manuka honey, and assures purity & quality. 2.The number – this represents three chemical markers that indicate the content of this honey to ensure purity and quality. This includes the key chemical markers DHA, MGO, and Leptosperin.